A really easy way to ask questions is by ending a regular statement with an interrogative word or phrase, known as a tag question. 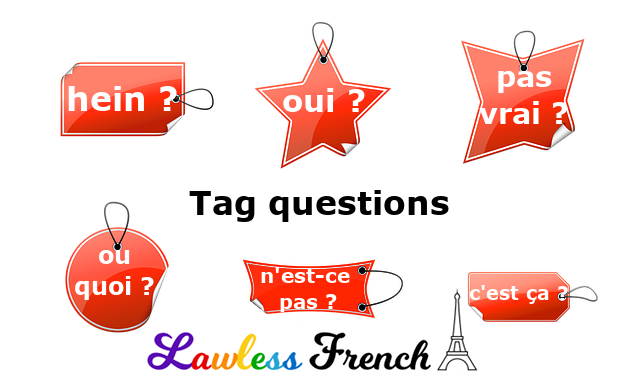 In English, many tag questions repeat the question’s helping verb – don’t they?, aren’t you? – but the nature of French doesn’t allow this. 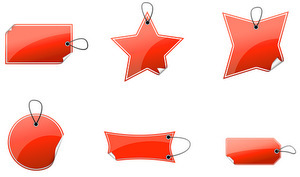 Instead, it uses an assortment of words and short phrases requesting things like acknowledgment and agreement. To request that the listener acknowledge or confirm what you just said, use hein ? or n’est-ce pas ? Elle est géniale, hein ? She’s great, right? Il aime les épinards, n’est-ce pas ? He likes spinach, doesn’t he? Nous partons dans 10 minutes, c’est ça ? We’re leaving in 10 minutes, is that right? Tu vas le faire, oui ? You’re going to do it, right? To ask the listener to agree with your statement, use d’accord ? or OK ? On va partir dans 10 minutes, d’accord ? We’re going to leave in 10 minutes, OK? Je t’appelle demain, OK ? I’ll call you tomorrow, OK? When you make a statement that you feel might be incorrect, use non ? Il aime les épinards, non ? He likes spinach, doesn’t he? Elle est géniale, non ? She’s great, don’t you think? Alternatively, after a negative statement that might be incorrect, use si ? Il n’aime pas les épinards, si ? He doesn’t like spinach, does he? Elle ne sera pas en retard, si ? She won’t be late, will she? Informally, you can request information or clarification with ou quoi ? On part dans 10-15 minutes ou quoi ? Are we leaving in 10-15 minutes or what? Il aime le vin, la bière ou quoi ? Does he like wine or beer or what? Be careful: ou quoi ? can also add a note of indignation or derision.